Dragging a surfboard on and off a plane several times a year gets old, no matter how “worth it” the destination is. If you’re the kind of surfer who is dedicated and can’t live without swell, it might be time to consider living where you surf, either permanently or part time. We’ve rounded up the best places to live for surfers, which range from the many near-empty beaches of Costa Rica to places like the Dominican Republic, which has a dedicated surf town and enough warm water waves to satisfy anyone who can’t bear the thought of squeezing into a wetsuit ever again. Barbados has been a stalwart of Caribbean surfing for many years now, and it seems likely to stay that way. The east and south coasts are the best sides of the islands for swell, both taking advantage of the island’s perch far out into the Atlantic Ocean. Also a boon is the coral reef surrounding the island, providing unlimited surf break throughout the entire island. Experienced surfers will flock to Bathsheba and the east coast, with it’s well-known “Soup Bowl,” named for the frothy foam that results from its churning waters. This is where most traveling surfers hunker down and the international surf competitions are held. The south coast regularly gets better and bigger swell, but is still gentle enough for beginners, while the west coast is the most tranquil of all while still having wave action. Most of the luxe real estate options are concentrated on the west and south sides of the island, which each have 15-30-minute drives to the eastern surf spots, give or take. This stunner, in St. James, is set on 12,000 sq. ft. of beachfront land and features a trendy and relaxed island-vibe. Since 2015, the market in Barbados has been on the rise, with the west coast in particular a strong destination, considering its world-class beaches and relatively plentiful infrastructure. With seemingly endless stretches of beaches, Costa Rica offers the best of the best in Latin America surf destinations. Costa Rica is home to some of the best waves on the planet, crashing along white and volcanic sand beaches that are clean and emptier than other famous surf destinations. We also listed it as one of the “it” destinations for travelers in 2017. 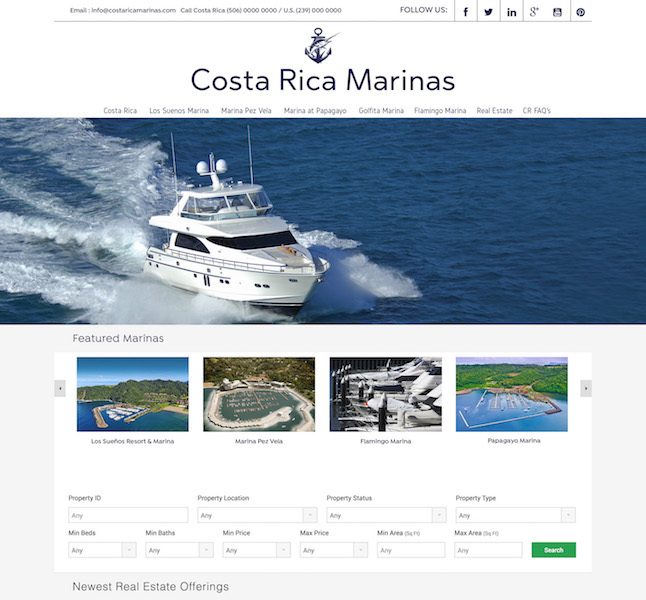 The areas to begin a search for property in Costa Rica is the Jaco Beach area on CR’s Central Coast, which is also home to Los Suenos the popular marina community for world class sport-fishing. And, Tamarindo is a true surf and beach town with amazing surfing within an hour in each direction. One such destination just 10-min south of Tamarindo is Hacienda Pinilla, a 4,500-acre golf and beach community hosting one of the country’s most beautiful beaches and surf locations on Playa Avellanas. Surfers have long been lured to the village of Cabarete, on the Dominican Republic’s northern coast in Puerto Plata province. With multiple surf breaks and a vibrant surf culture that features several hotels dedicated to the cause, you’ll be in good company choosing to spend your surf time here. One of the best parts about surfing the Dominican Republic is that you’re surfing in warm water year-long–wetsuits never required. The swell is consistent, the currents are gentle and there are variations between the seasons. Winter will have the biggest waves, thanks to storm systems off the coast of the eastern United States that send heavy action southward. Hurricanes, which happen from spring-fall, rarely hit the island, instead passing south and depositing big waves in their wake. It’s no secret that we think now is the right time to buy in the “DR”: it’s on our list of best places to buy in paradise for 2017. Besides the obvious attractions, the island’s three main international airports are well-served by daily flights from the United States–especially New York. Luxury property transactions increased by 10% in 2015 and net rental yields are as high as 10% annually in some areas. The highest priced home in the country is listed at $25 million, and luxury homes are generally priced between $100-$450/square-foot. Puerto Plata and Cabarete, in particular, are listed as current hot spots. From Puerto Escondido, in Oaxaca, to further up the coast in Sayulita to the tip of the Baja peninsula in Todos Santos, Mexico has no shortage of surf options. Coupled with great weather, better food and flowing agave spirits, it offers one of the best all-encompassing lifestyles for any pleasure enthusiast. Our favorite is Todos Santos, on the Pacific ocean, for its pristine desert landscape, stark blue seas, laid-back and artsy beach town and its proximity to Los Cabos, which means luxury, culture and, importantly, a well-trafficked international airport. Cerritos, just south of Todos Santos and El Pescadero, is a popular spot. It’s a beach break with a sand and rock bottom and no hazards, meaning it’s ideal for beginners. San Pedrito is another break that is more suitable for advanced surfers. Down in San Jose del Cabo is Zippers, another great reef break ideal for beginners. Luxury real estate knows no bounds in Baja California Sur. If you’re also a golfer, it’s hard to do better than Querencia, down in Los Cabos. Todos Santos has been under the radar for quite some time, earning its reputation as the artsy “San Miguel de Allende” of the south, but that’s starting to change. The luxury resort Tres Santos was just completed, ushering in a new age in this formerly sleepy surf town. You can buy a townhome there, starting in the low $200,000s, or something like this surf palace, which is an oceanfront masterpiece in one of the best surfing spots, La Pastora. There’s hardly an active surfer on earth who hasn’t been to Rincon, on the western edge of Puerto Rico. Since 1968, when the world championships were held there, it’s been a standard destination in any serious surfer’s line up. With northwest and southwest-facing beaches, Rincon is in a prime location to catch consistent waves. Popular surf beaches include Pool’s, Sandy Beach, Antonio’s, Tres Palmas, Domes and Maria’s. Domes produces waves suitable for all levels, while Indicators, another loved spot, is best experienced as a well-versed waverider as there is no channel, a reef and a sharp rock bottom. Tres Palmas is also experts-only and boats what’s considered to be the largest surfable wave in the Caribbean. With constant access to the United States mainland, no need for a passport and a favorable tax situation for American citizens, a move to Puerto Rico is the best choice for those concerned about logistics. Real estate options are readily available, though come at a discount to other islands, meaning you can get a lot more for your money. This sprawling, oceanfront compound is the ultimate surf pad with 12 bedrooms–perfect for all your buddies who will no doubt be hopping the next flight to visit and hang ten.